August 9, 2013 By This post may contain affiliate links. 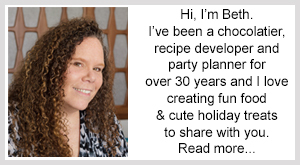 Are you having a beach or ocean themed party? 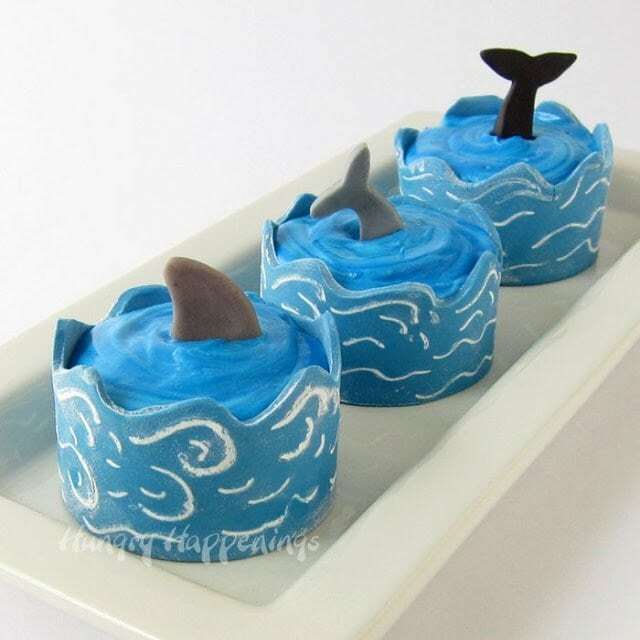 If so you have to make these Ocean Cupcakes with Edible Cupcake Wrapper Waves! 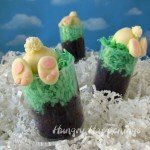 These cupcakes are so much fun to decorate and are impressively beautiful! Living in an oceanfront property is at the top of my bucket list. It will, hopefully happen someday, but for now I just enjoy the occasional vacation to the shore. This year, I’ve spent more time listening to the sounds of waves crashing and sea birds chirping than usual and to remind myself of all that time spent at the beach, I made some ocean themed cupcakes. 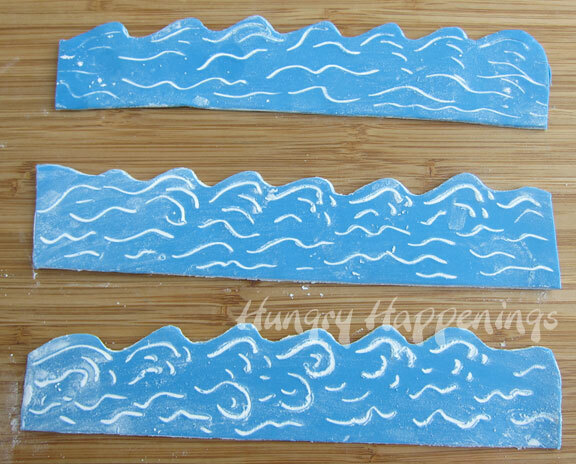 I’ve really enjoyed creating edible cupcake wrappers so I chose to make modeling chocolate waves to encircle my cakes. 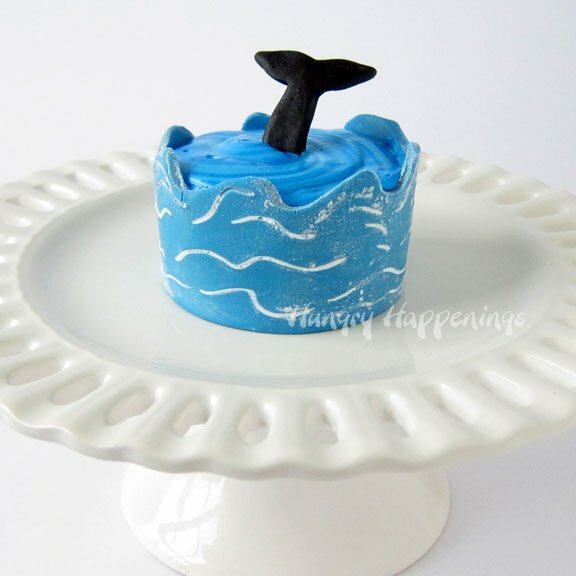 Then I added some blue water (frosting) and a modeling chocolate fin or fluke. 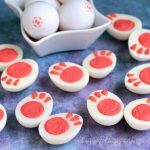 I thought being it was shark week, these were the perfect project to share with you. Whenever we host an exchange student, we tend to travel a lot. We want the kids to really get to see America. In October, we drove from Ohio to Jacksonville Beach in Florida. We rented a condo with a balcony overlooking the beach from which we saw dolphins playing in the surf and hundreds of sea birds flying overhead. Someone even spotted the fin of a shark. I was happy I missed that! At Christmas we enjoyed a week in Oceanside, California. Our condo was not directly on the beach, but that was alright, as it was really too cold to swim, anyway. We did have fun watching those that were swimming, mostly surfers in full wet suits. There were a few brave souls just in bathing suits that screamed more than they swam and were quite a spectacle. Our favorite swimmers didn’t wear anything at all! They were the adorably cute sea lions. We sat on a cliff overlooking the marina where they played and were entertained for hours. This spring we traveled to the Riviera Maya in Mexico where the water is crystal clear and so warm. We had an incredible experience of swimming alongside sea turtles and rays. I’d like to go back one day to swim with whale sharks. I’ll put that on my bucket list too. Color some white modeling chocolate using blue food coloring. Dust a cutting board with powdered sugar. Roll out modeling chocolate to about 1/8th of an inch thickness. 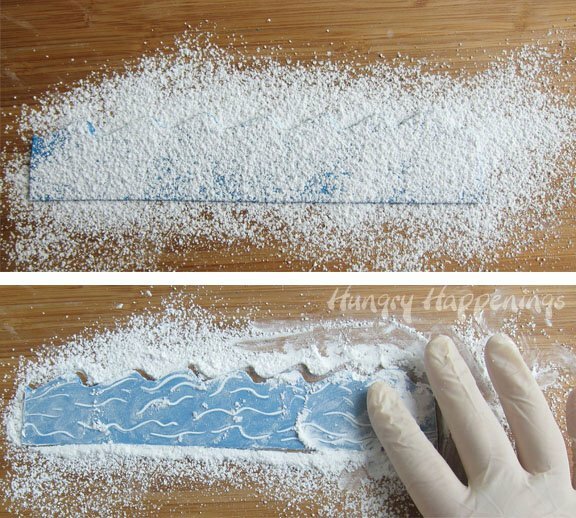 Use a sharp knife to cut a straight line. Measure the height of your cupcakes. Use that measurement as a guide to cut the top edge of your edible cupcake wrapper. You’ll want to cut waves at top so that the lowest part of the waves is above the edge of your cupcakes. 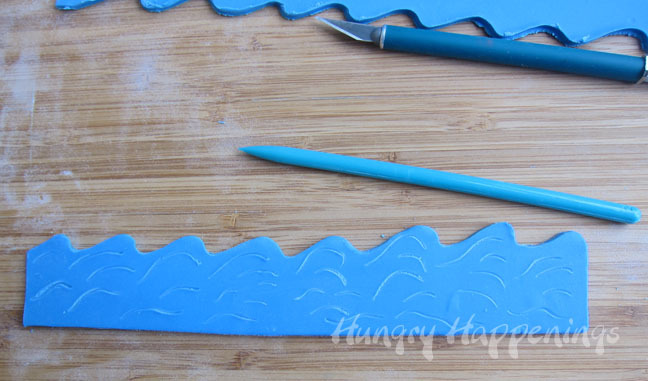 Cut your wave to the length you’ll need to wrap around an individual cupcake. 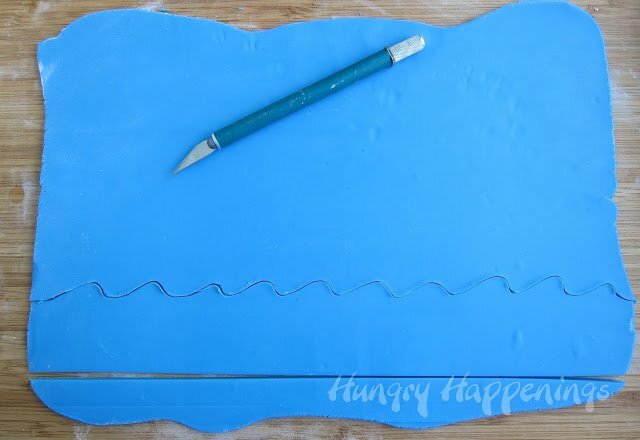 Use a fondant tool to draw details onto each wave. Sprinkle powdered sugar over the modeling chocolate wave. Use your finger to rub the powdered sugar into the groves you’ve drawn, brushing away any excess. Don’t use a brush or you’ll remove all the powdered sugar in the details. Just use your finger to brush the excess off the modeling chocolate. You can create waves with any design you’d like. I made three different designs for my cupcakes. 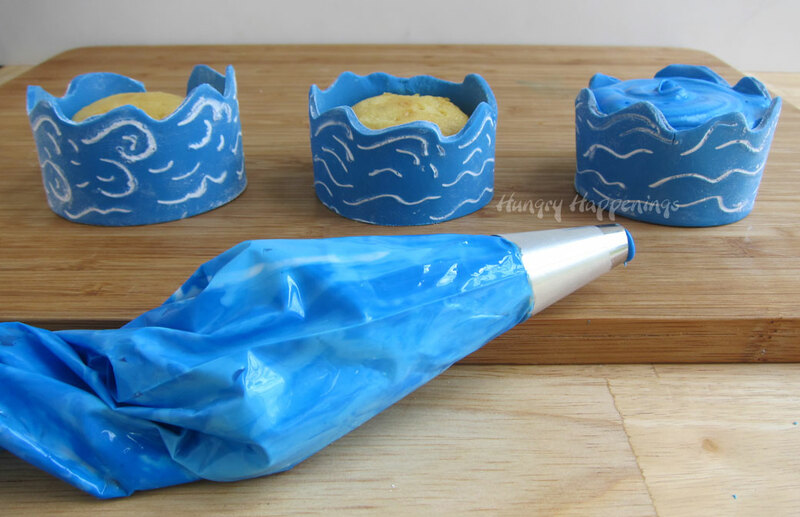 Wrap your waves around your cupcakes (remove paper first if you baked them in paper wrappers.) Frost with blue frosting. 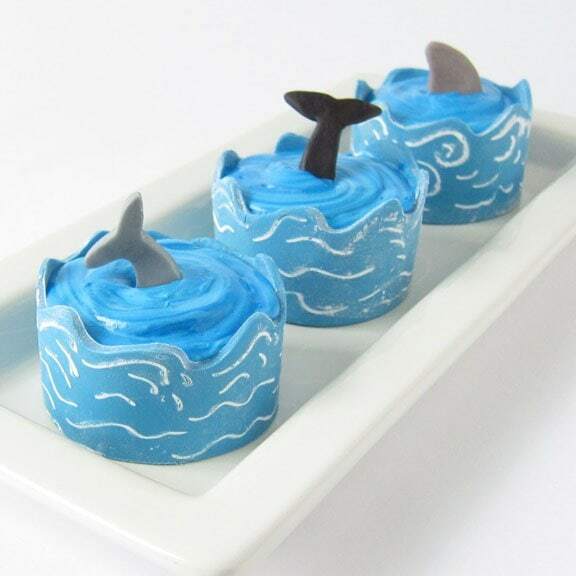 Create modeling chocolate shark fins or whale or dolphin flukes to put into the blue frosting water, if desired. These cupcakes will require the use of a fork to eat them, but the modeling chocolate is nice and soft and easy to cut through and eat. Oh, how I'd like to have a beach party, on the beach! I can never get enough of the beach. 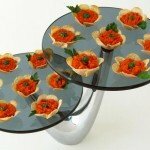 Beth – I love these! What a fun spin on the beach themed cupcake! Thanks, Kim! 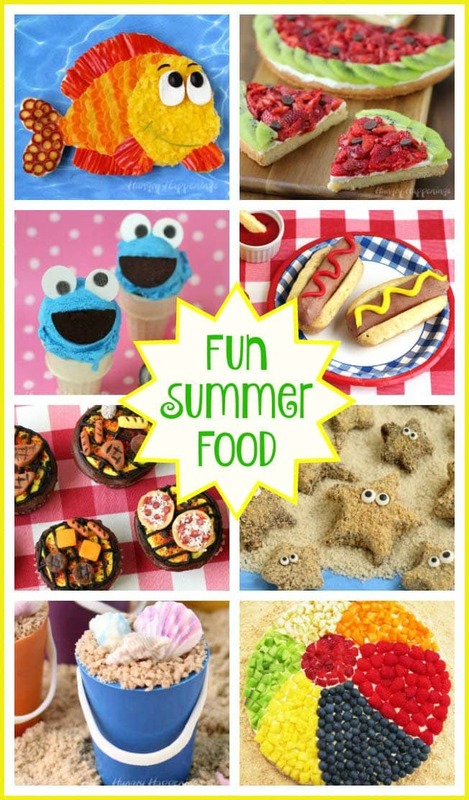 They were fun to make and eat. I gave a cupcake to one of my neighbor's and she sent a picture of her 5 year old eating it. Blue frosting all over her face and hands! Too funny. 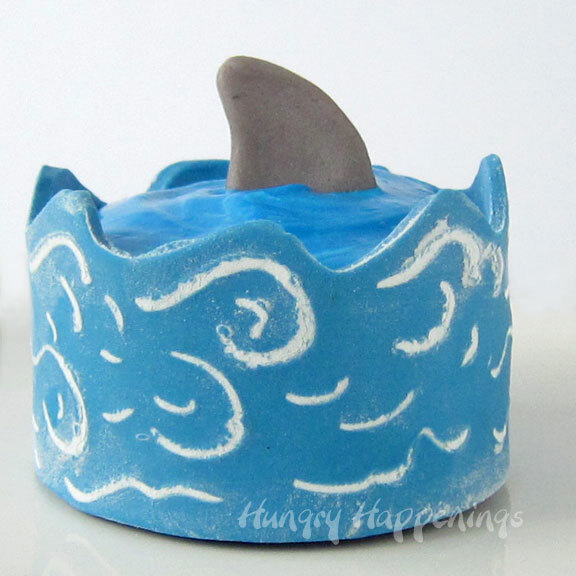 Perfect for shark week! 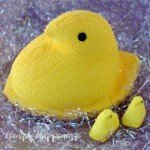 These are so cute and look very do-able! Love that the cupcake wrapper is edible!!! These are so great, Beth!! 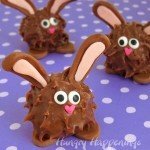 Never thought to use the powdered sugar filled engraving technique I used in my chalkboards on modeling chocolate, great idea!!! Oh my goodness, what ADORABLE cupcakes!!!! Such a cute idea!!! And how fun that the cupcake wrappers are edible!!!! Thanks, Maria. I love using edible cupcake wrappers to add another design element to my cupcakes. You never cease to amaze me with the edible cupcake wrappers! The fins and tails are just the right additions … genius! Do you know if modeling chocolate will melt? 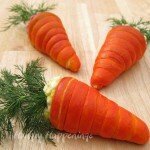 Your food crafts never fail to amaze me! I LOVE these and the wrapper technique is too cool. My hubby and I were at the beach earlier this month. I was sad the day we arrived already thinking ahead to when we would be leaving. I've said for the longest..just a little cottage by the sea is the place where I wanna be! Your cupcakes look amazing. Your dolphins are sculpted so nicely. I just posted a link to your site on my Facebook page and will add one in my Readers' Gallery too. I also pinned them! That is a great idea! How fun and appealing.